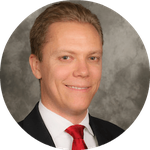 Trace Mayer: I’m Trace Mayer. I’ve been involved with Bitcoin for a long time. Actually, Jon Matonis and I started our Bitcoin blogs within about a week of each other. We’ve been major thought leaders together in this new space. I’ve written a Bitcoin beginners guide, authored a lot of the Bitcoin FAQ. I’ve had several national level media appearances already. So you can review and [look at] how I perform there. Whether it’s Fox Business, Colbert Report, BBC News Night with Jeremy Paxman, and plenty of others. I’ve also been invited to speak on Bitcoin. This is mainly because I have a background in accounting and also in law. So I’ve been invited to present on Bitcoin to the Federal Reserve, Bundesbank Bank, major banks. I presented in conjunction with regulators and law enforcement whether it’s IRS, FBI, etcetera. which I want to see just general increase in the level and security and professionalism of everything in the Bitcoin community. That’s what I hope to accomplish with my candidacy. TM: The main reason I would want to serve on the Bitcoin Foundation Board is because I really feel an affinity for the community. In a lot of cases, I’ve either directly or indirectly influenced a wide variety of the people who are already here. I’ve taught their bloggers that they read or listen to how to use Bitcoin. I’ve done personal tutorials on people who bought Bitcoin; showed them how to use it etcetera. I’ve funded major service providers like BitPay. And have worked with other startups and other entrepreneurs and looked at funding them. The deal has to be right, of course. And so, I want to see this community continue to grow. I want to continue to see Bitcoin fulfill its mission as an instrument of storing value that has no counter-party risks, no third parties, no intermediaries. And allows you to send money to anyone anywhere at any time with little or no fees. I want to see it move the human race forward, because money and currency is the most complicated good. And it takes somebody special to be able to understand it and how it applies. And that’s why I’ve been writing about it for a long time and influencing a lot of people about it. TM: Bitcoin is an opensource project. To be honest, I think everyone is qualified. Now that doesn’t necessarily mean that some people aren’t qualified more than other people. And so, in that sense, anyone that wants to get involved in Bitcoin, just start doing something. Hopefully you can do something that is productive and useful and the market finds it such and rewards you with profit. What makes me perhaps more qualified than others for a board level position? Well I’ve influenced a lot of the people in Bitcoin land as a thought leader. A lot of people wouldn’t necessarily be in Bitcoin if it weren’t for the efforts of us early thought leaders who were willing to stick our neck out there and take the risk to our reputation, etcetera, by talking about it. I’ve got very thick skin in that regard and I’ve got a solid understanding of what’s going on with Bitcoin from the legal to the financial to the economic to the technical. All aspects of it. Some areas better than others, but a good overall understanding. And I think I can be very helpful on the board in that regard. TM: When it comes to whether there is a right or wrong way to use Bitcoin, I think it comes back to what’s called the non-aggression axiom. That’s that we shouldn’t use violence or intimidation against innocent people or their legitimately acquired property. And so, I think, a right way to use Bitcoin is using it in a way that’s in harmony with that axiom. And a wrong way would be using it in a way that’s not in harmony with that axiom. I don’t necessarily think that just because something is legal or illegal that it’s moral or that it passes that non-aggression axiom. And with Bitcoin being a huge worldwide technological project and with laws and regulations constantly changing all over the world, I think, if we bring it back to that axiom and we use Bitcoin in that way, that’s a right way to use it. And a wrong way would be where we’re violating that axiom. TM: My views on Bitcoin software development; I think that we have a lot of people who have a lot of vested interests: financial, economic, ideological, political, etcetera. And Bitcoin is a great example where one bit equals one vote, right? We really get to see a form of participation in action with Bitcoin and with the development. lead round investor, we raised half a million dollars for it. And I think the market will help us fund the development we need. I don’t think we need to make Bitcoin a pet project unless we’re willing to pay for it. This is a very important issue. We have a wide variety of vested financial interest now. We’ve got Bitcoin users and they want the lowest costs in terms of time, money, and privacy. And then we’ve got Bitcoin service providers and they have to comply with government regulators that want to increase those costs. They want AML compliance. They want KYC. And that can be diametrically opposed to our Bitcoin users. Why pay those extra costs if you don’t have to. And if another altcoin introduces advancements that make it cheaper then we’ll lose demand for Bitcoin and increase demand for the altcoin. So I think we have to remain competitive. And those service providers, they in effect, get to shift the cost from them to all holders of Bitcoin and I don’t necessarily think that’s right. You know if you want to do business in Venuatu and want to comply with local law there, I don’t think that we should cater the protocol to lower your cost so that you can comply to regulators. I don’t think that serves the users of Bitcoin, in general, the best way. TM: That’s a very good question. I’ve actually presented to regulators and law enforcement and major banks and central banks even. You know what? They don’t understand Bitcoin. They need to be educated about it. Is a lobbyist the best way to go about educating these policy makers? I don’t know. I think that it’s definitely a worthy idea to consider and to debate, but do we really want to be paying people to accomplish that? Do we really want to be taking funds that could be developed or be used for development, grants, or conferences, etcetera. And instead give it to these lobbyist that just kind of make their way in the world by groveling at the feet of people in power to pass legislation that helps the incumbents. I can see both sides of the issue. It’s an area where I don’t particularly have a lot of experience. I don’t lobby on Capitol Hill, I do stuff instead. I think if we want to change the world, we need to change it in spite of anybody who might try to put roadblocks in our way. Whether we need to pay people to ask permission? I don’t know. We’ll see. TM: I think, I would like to change the ability to participate anonymously. And that’s because when you give people a mask then they’ll tell you the truth. And this will have wide ranging effects in all areas of the Bitcoin ecosystem. For example, the amount of freedom we get is directly proportional to the degree of protection that we’re able to secure. I think, far too much of what we’re doing with the Foundation is focusing and catering to people that are not our core customers. For example, regulators, law enforcement, or governments. And if we can secure a lot more protection through the use of cryptography, development, etcetera, then we can provide a much better product to our customers. I think key to that is allowing people to participate anonymously. Perhaps, one of the reasons why we don’t have anonymous participation is so that we can call out and censor the different ideas and the different voices that might actually make Bitcoin more useful, but wouldn’t necessarily be helpful to regulators or law enforcement.